Take a journey with Elysa Markowitz as she explores the different ways you can use the Soyabella Soymilk Maker. It can be used to make more than just soymilk - it also makes exquisite raw almond and other vegan milks, spectacular soups, delightful dressings, and much more! Most of these recipes take just one step, and are done in 15 minutes or less. Elysa offers many more wonderful tips, tricks, and other secrets beyond the information found in Soyabella's instruction manual! Elysa takes you through all of the capabilities of the machine and shows you how to get the most out of every feature. 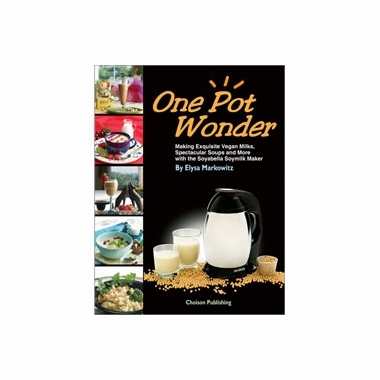 Elysa�s vivacious style and energy are shown through each of her recipes that combine fresh fruits and vegetables with mouthwatering spices and flavorings - to create unbelievable recipes that are quick and easy to make.